I started to title this post: “How to catch a skinny mouse“, or, “Hair-Trigger Mouse Trap for Anorexic Mice with Eating Disorders“. Either way, it reinforces the fact that there are lessons all around us as we go through life, all we have to do is be observant enough to learn from them. I hate having a mouse in the house, but it happens. I’d like to stakeout the kitchen in camo, automatic weapon in hand, and a Rambo like grimace on my face, waiting until the little trespasser showed his furry face so I could put a M60 slug through his tiny little mouse heart… I didn’t do that. I wanted to, but I didn’t. Instead, I went to the store and bought a pack of 97 cent mouse traps. I baited the traps with peanut butter (as suggested), protected my fingers and gently placed the traps where the mouse had obviously been. The next morning before breakfast I checked on the traps…. the little varmint had eaten all the peanut butter from both traps without setting them off. I’m talking licked clean too! Not a trace of peanut butter remained. The next night I decided to use cheddar cheese as bait. My thinking was that maybe the peanut butter was too soft and using harder bait would result in the mouse tripping the trap. Wrong. The next morning, the cheese was gone; the traps were still cocked, and no mouse in site. Now I’m getting mad. I’m being had by an anorexic mouse with an eating disorder who does not even weigh enough to trip the mouse trap. Or, perhaps he is just really smart? Or, maybe it’s a ghost mouse and he floats above the trap while eating? I don’t know but I’m determined to get him! More determined than ever, I decided the problem was that the trigger arm on the mouse trap was not slick enough to slide out of the little trigger platform easily. I locate some petroleum jelly and proceed to grease each mouse trap. I then baited the traps with peanut butter: this time with a much smaller amount so that the little monster will have to get closer in to get his first bite. I re-cocked the traps and gently placed them in the cabinet and went to bed. The next morning I’m sure I’ll have a mouse. Absolutely, 100% sure. There’s no doubt in my mind that when I open that cabinet door, there will be mouse number 1 from the mouse most wanted list laying there with his tongue hanging out. I slowly open the door to reveal… nothing but completely empty traps… licked perfectly clean again. At this point, I have a few choices. I can go buy an electronic mouse trap that shocks the mouse as they step on it. Nope. I’m mad. That’s just too easy. I want to get even with this critter and that means only one thing. I want a trap that goes BANG. So the next choice is to modify the mouse trap to have a “hair trigger” that my resident as-skinny-as-Paris-Hilton-mouse will set off. The third choice is to keep feeding the micro-rat until he’s big enough to trip the trap as purchased. The third choice will take too long, so it’s to the drawing board with a Tim the Tool Man Taylor laugh to trick-out my mouse traps with more power! A “hair trigger”, for those of you who don’t know, is a trigger on a gun that takes almost zero force to pull. This is usually implemented as a second trigger: when you’re ready to shoot, you pull the first trigger and that engages the second or hair-trigger which just takes a slight touch to fire the gun. This is a common setup in target shooting rifles, etc. So I study the mouse traps and determine that by simply bending the trigger arm a little at just the right spot, I can create an angle where the trigger arm engages the trigger platform that will probably make it much more sensitive. Indeed, I had trouble just keeping them cocked long enough to place in the cabinet. This time, I’m sure it’ll work. I bait them again with a little peanut butter and go to bed. After about 30 minutes in bed, I get up to check on the mouse traps. I took a flash light and peered into the cabinet. Guess what’s looking right back at me! Yep. The little cursed varmint that thinks he’s smarter than I am. He didn’t even run, he just turned and walked off to hide. Confident in my modifications (no peanut butter was missing at this time) I went back to bed. This morning I had one dead mouse, trapped by one highly modified mouse trap! Insert another Tim the Tool Man Taylor laugh here! There are some good parallels between this story and marketing: like not giving up. There’s also the constant modification of the bait and mouse trap to finally catch the mouse. You should always monitor (TEST) your marketing, sales pages, etc. 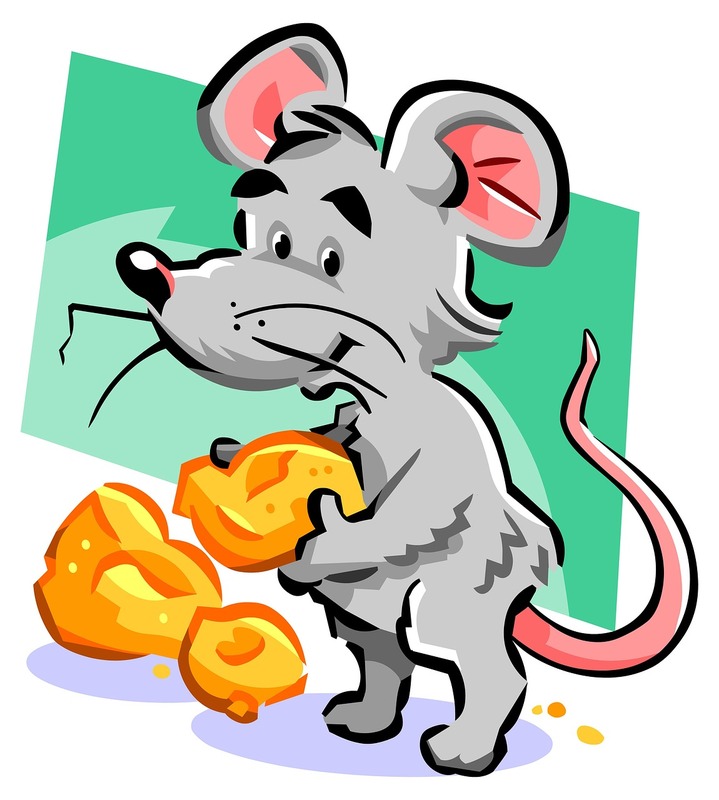 to make sure that you’re not letting the mouse (sale) get away and that you know what combination of things actually bagged your mouse (made the sale). Get my Insiders Guide to Promoting Your Business Online to learn how to do this!